It's Going to Be 70 Degrees. Time for Ice Skating! Get out your skating gear, kids. The outdoor ice skating rink at Pentagon Row is open. Most vendors selling Christmas and other December holiday goods wait until after Halloween to start smacking you over the head with their sales. Pentagon Row's rink is getting a jump on them too. It was supposed to reach a high of 76 degrees Saturday. Go figure. But never mind. 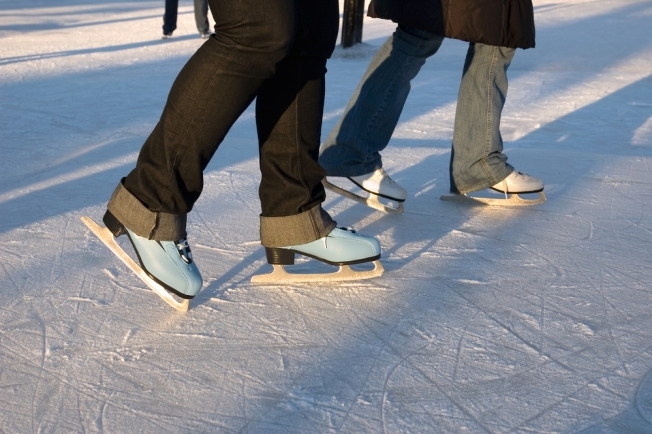 The rink is now open every day, including holidays and when schools are closed. (Because screaming, "Parents, bring your kids here!" might be considered unseemly.) Some nights, it doesn't close until 11 p.m. They're even open Thanksgiving and Christmas. Oh, quel sacrilège! But seriously, we could think of worse ways to spend the morning, afternoon or night than falling on your toosh in a well-made skating rink surrounded by shopping and restaurants like Sine Irish Pub nearby.